If you encounter the Domain Policy Error, it may be caused by your domain administrator blocking Google Drive access to third-party applications. 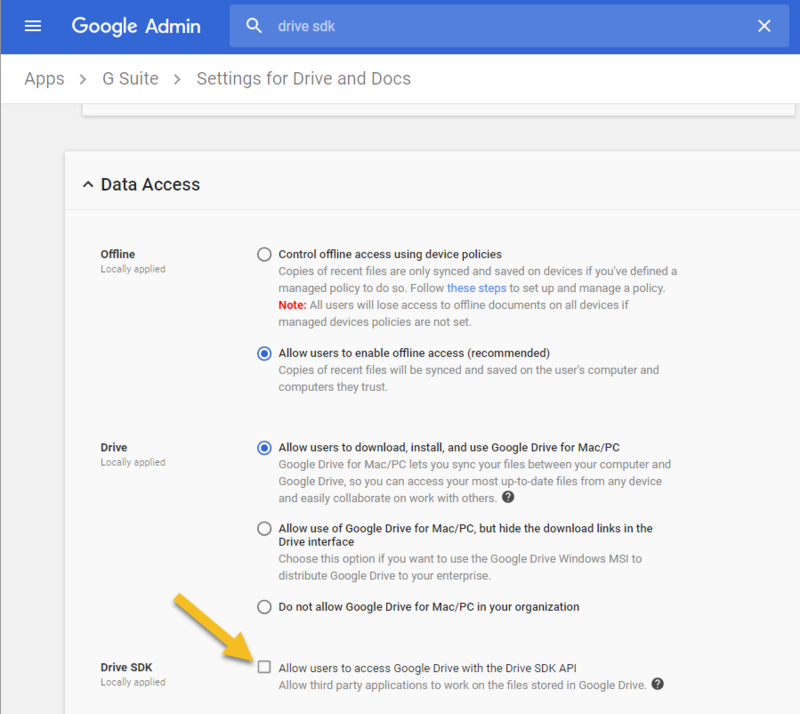 You may need to contact your domain administrator to enable "Allow users to access Google Drive with Drive SDK API" found under Settings for Drive and Docs. Alternatively, you may use another Google account for your Deck.Toys account. Do contact us if you still encounter the error after your domain administrator has enabled the settings.